With a coat of fur that ranges in different colors, from white, black, brown and grey, the Australian Shepherd is a scrappy fellow that makes an awesome companion pet. It is high in sensitivity with a moderate level of adaptability. Although it may be named the Australian Shepherd, this beautiful pup originated from the United States since the 1840s. Developed to herd livestock, it makes a great pet for those tasks, as it is well disciplined (mainly if you learn to train and socialize it at an young age) and quite intelligent. Known for being a great companion for families, the Australian Shepherd has quite the load of energy that allows it to run around throughout. The Australian Shepherd has a double-layered, water repellent coat that is made up of an inner layer and an outer one. 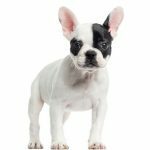 The inner coat is short and cropped to the body and its function to protect the dog by keeping it warm in winter and cool in summer. The second coat or outer layer, is some what wavy and a bit longer. There is feathering of hairs on the back of the front legs, chest, back of thighs and the tail. Australian Shepherds come in several shades , ranging from light to dark. As they age, the coat may become lighter or darker, while the face and body may turn white. There is no doubt that the Australian Shepherd is one of the friendliest dogs out there, as well as playful. They love to be outside, which probably comes from their original purpose of herding livestock. Since this is the case, you should consider the steps above for properly bathing and grooming your dog. Additionally, to make sure they are as clean as they can be, we suggest using some of the products below to help. 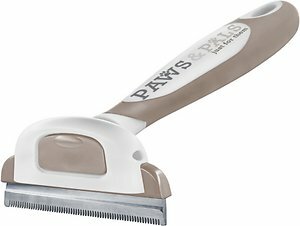 The Paws & Pals de-shedding and grooming brush features a sturdy stainless steel blade that gets deep into your Australian Shepherds undercoat. This tool works great during shedding seasons in removing loose hair and dander, as well as prevent matting. It reduces shedding by 90% and helps control odor that Australian Shepherds are known for. The comfort grip handle is designed to fit easily in to your hand for maximum control. This slicker brush is made with fine and flexible wire bristles, and easily removes tangles from your Australian Shepherds silky coat. 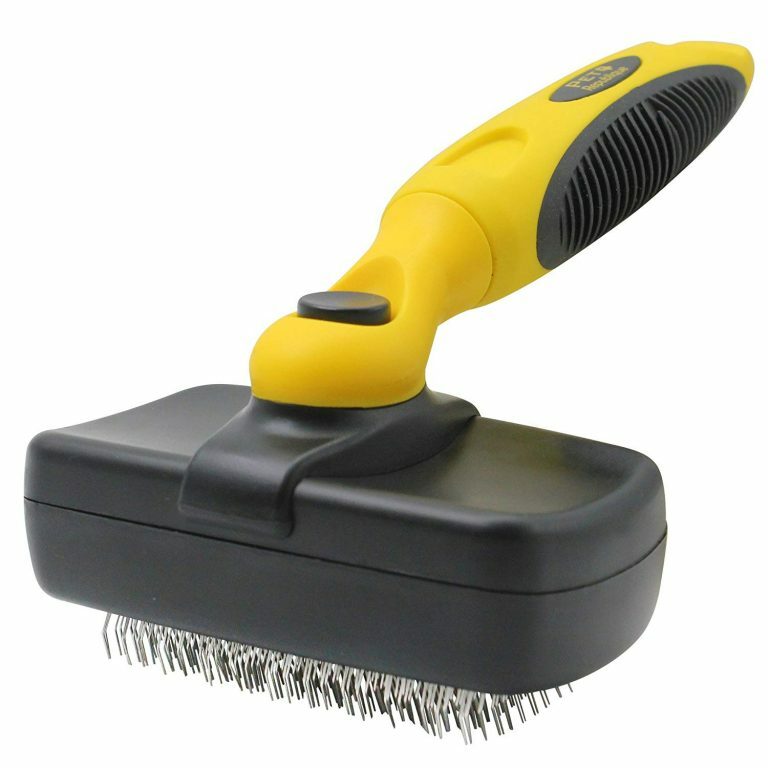 The slicker brush can also be used for smoothing the coat after grooming and pins are long enough to get through your dogs coat. The ergonomic, rubber handle and heavy plastic material makes it very durable and easy to use. 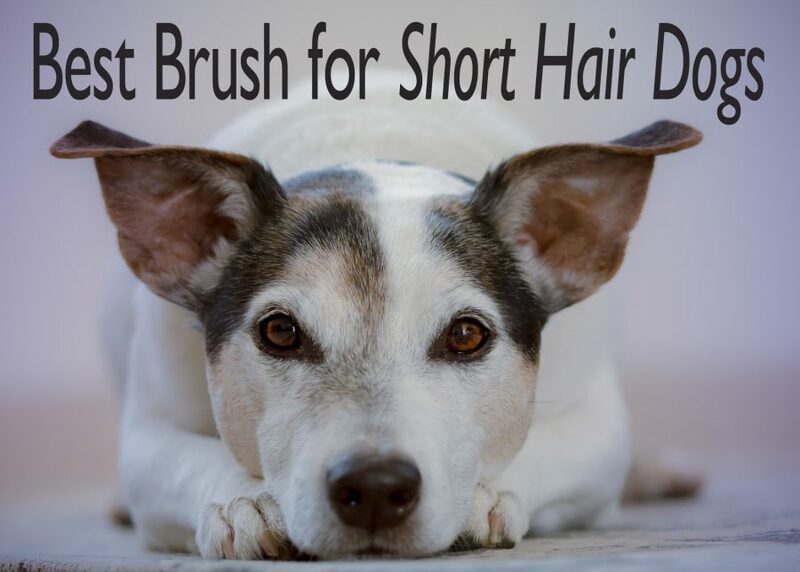 The handheld Boar Bristle Brush features 50% natural boar and 50% synthetic bristles that move easily through your Australian Shepherds top coat, making it great for daily brushing. 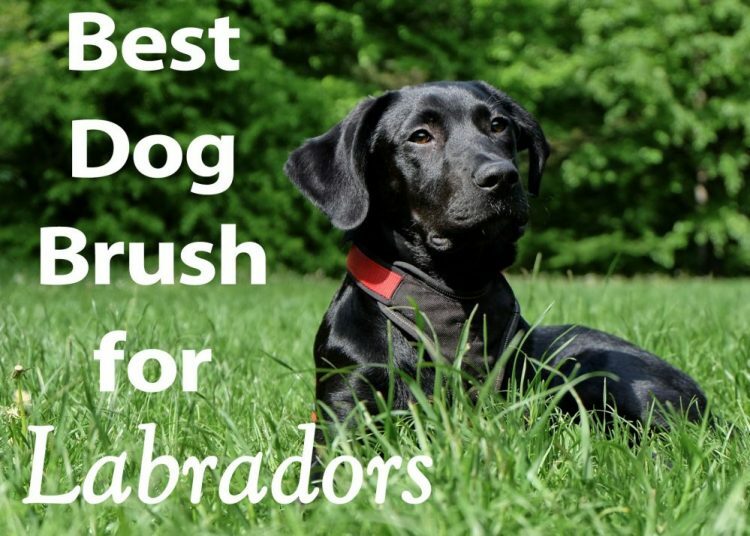 The Boar Bristle Brush works to smooth and distribute oils in your dogs hair healthy, shiny coat. 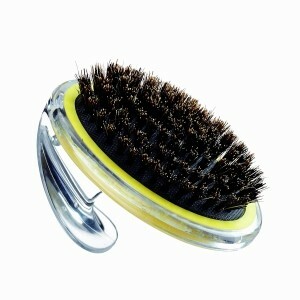 This brush is a great option for dogs who are sensitive the other brush types or fears being brushed. The Hartz Groomer’s Best Combo Brush was developed by professional groomers for professional groomers. One side is fine stainless steel tips that has wide enough spaces to grab hair and remove knots. The bristles on the reverse side help to distribute natural oils that keep your Australian Shepherds coat healthy and shiny. 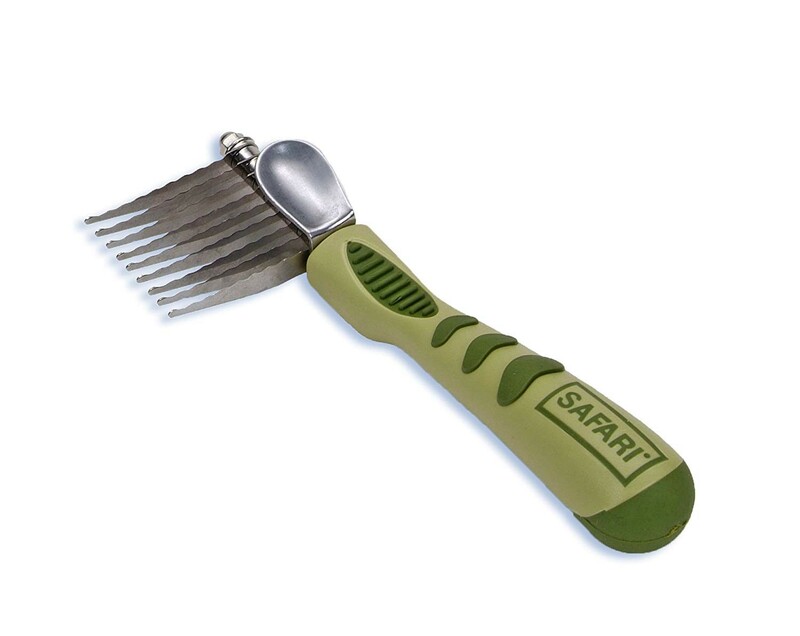 The SAFARI De-matting Comb removes mats and tangles and is great for removing dead hair from your Australian Shepherds under coat. 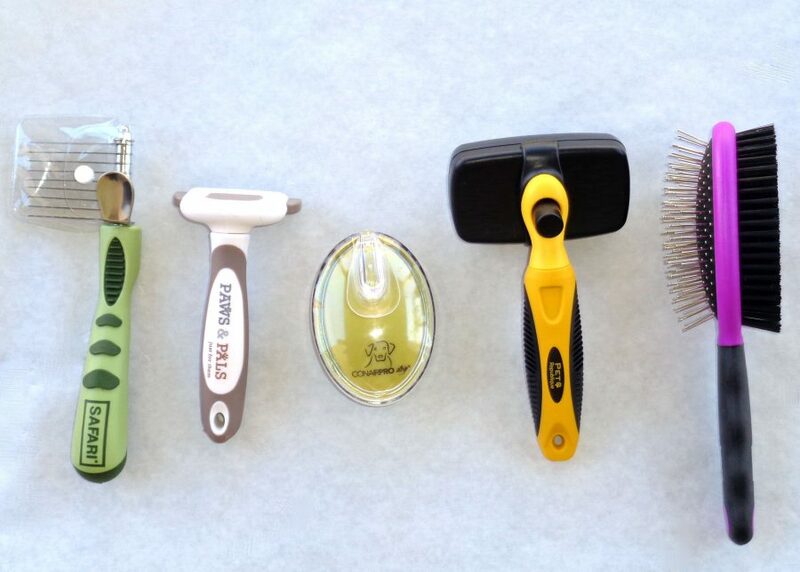 The stainless steel, serrated blades will comb out most knots and tangles. 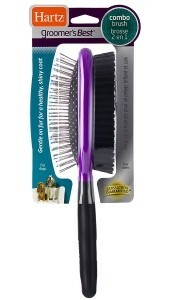 This comb is great for removing debris that may get stuck in your Australian Shepherds undercoat and has long enough blades to get through both coats. In conclusion, the Australian Shepherd sheds frequently, which is why it is important to brush often to get rid of any excess hair. 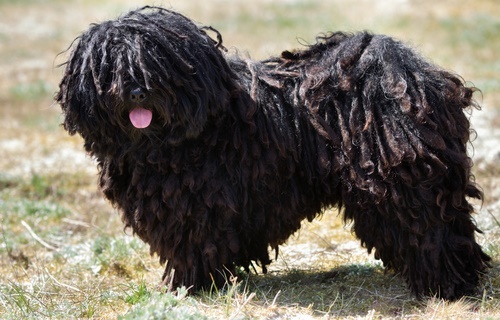 For this kind of thick coat, not any brush will be do. You need a sturdy, heavy duty grooming brush that can give this type of hair the right attention. Thus, we provide a bunch of brushes above.